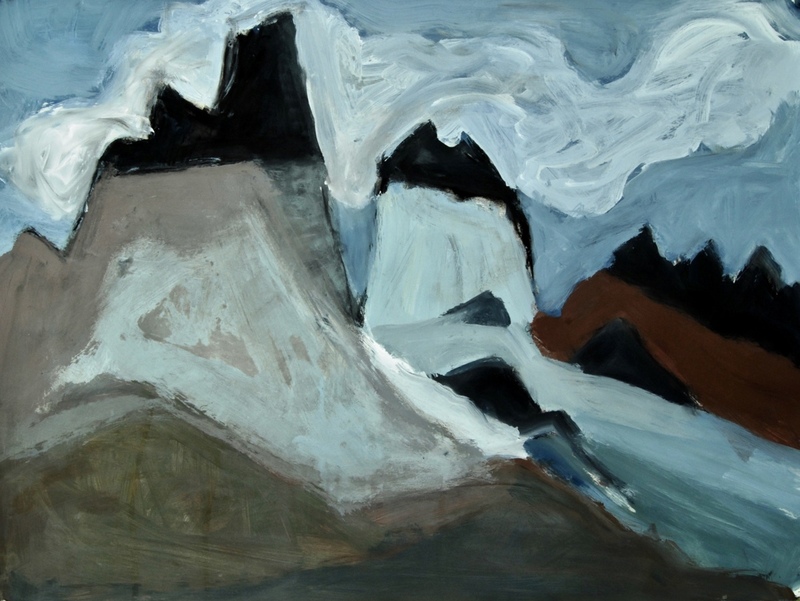 Acrylic painting on paper depicting jagged peaks that are part of the Paine Massif. Uniquely two-toned, the black top of the peaks is sedimentary rock, the grayish shoulders are granite. Glacier and snow coat the sides.